Ever since I got my first beta invite for SWTOR last November, I’ve been gently nudging my wife to try it out as well. I didn’t get much response during beta itself, only something like “If I try it, you won’t be able to test it.” Which was nice of her, but didn’t help in making a pre-order decision for her copy. And I know better by now than to just go and buy 2 licenses, let Rift be an example of this. Opening day came and went and it was still just me playing SWTOR, while my wife kept collecting pets, and did her dailies on WOW. Plus some raiding. And numerous alts. And holiday events. At some point, when I asked I got this answer: “I don’t like Star Wars!”. What do you mean, you don’t like Star Wars? The game or the movies? “The movies!”. I had no problems with her being major league annoyed at the acting in episode 2+3 a couple of years back, but it never appeared to me that this included the original episodes as well! 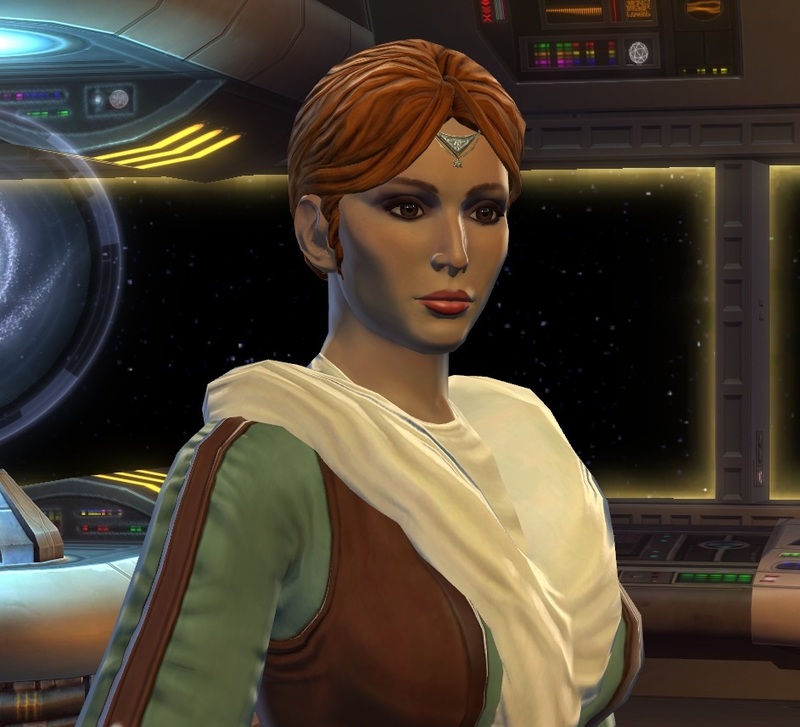 Life’s back to normal now and I haven’t divorced her over it, especially since her WOW guild mates convinced her that SWTOR is actually a cool game. Half of them were playing already and talking about it on Ventrilo, plus my persistence convinced her on Sunday to try out a Jedi Consular, with the goal of becoming a Sage. Initially she had made “Ileana” on my account, but on Sunday night it became clear she’d get her own. I spent two hours on Monday recreating her looks on the new account, and less than an hour to bring her to level 6, where my wife had left off. You wouldn’t believe how different colors can look on two monitors. Head type, hair style and even complexion were easy to duplicate. But I am being told I missed the hair color by a notch. I restarted the game a number of times with different accounts on both of our computers to get the skin color right. But it was quite an ordeal to figure out that skin color #17 on my monitor looked like skin color #22 on hers.